NEW YORK, NY--(Marketwired - May 03, 2013) - At a press event held today in New York, Acer unveiled an updated and slimmed down Aspire V5 Series of notebooks and also introduced the powerful new Aspire V7 Ultrabook. The new V Series represents Acer's largest and most versatile line of mainstream notebooks with numerous models available in a variety of colors with varying screen sizes, resolutions, with or without touch and with varying performance and graphics capabilities. "The new Acer Aspire V5 and V7 Series are all about giving our customers a wide range of performance and entertainment features from which to choose," said Sumit Agnihotry, vice president, product marketing, Acer America. "In addition to adding full high-definition panels, more powerful graphics and solid state drives to the V Series, models are up to 9 percent slimmer than the previous generation." The new Acer Aspire V Series was introduced today with other new products, including the Acer Aspire R7, Acer Aspire P3 Ultrabook and Acer Iconia Android tablets. The new line of Acer mobile products highlights the company's focus on redefining the computing experience through progressive design. #AcerTouch. Based on lifestyle and performance needs, consumers can choose models featuring large 15.6-inch displays, more portable 14-inch displays, or highly transportable models with 11.6-inch displays. All models are available with a choice of touch or non-touch screen. To make typing easier and more comfortable, all V5 models include a full size keyboard with an 8 percent larger key cap area than previous generation V5 notebooks. All notebook configurations with a touch screen will also include backlit keyboards. For crystal clear viewing, the new V5 notebooks featuring a 15.6-inch or 14-inch display are available in either high definition (1366x768) or full high-definition (1920x1080) with IPS technology(1), which provides an amazingly vibrant and wide viewing angle. These models also include four speakers and are supported by Dolby Home Theatre for crystal clear cinematic surround sound with less distortion. It also makes it easy to connect to a home theatre system, and provides total control over the PC's audio settings with a few simple clicks. Models are available with the next generation AMD dual core or quad core processors, or the latest Intel CPUs. Select configurations are equipped with NVIDIA GeForce GT7XXM series or AMD Radeon HD8750 discrete graphics for fast casual gaming and rich responsive multimedia. The smallest Aspire V5 models featuring an 11.6-inch high-definition (1366 x 768) include touch screens and are ideal for anyone wanting an affordable thin and super light notebook to take wherever they go. Just 3 pounds and less than an inch thick, they are ideal for a frequent traveler, child or for student use. Models are available with the next generation AMD dual core or quad core or the latest Intel CPUs. They also feature a full size keyboard, while backlit keyboards will also be available in some regions. The new V7 Series Ultrabooks offer the same stylish and thin design found on the V5 models, but adds a "silky touch" finish on the bottom. In addition, the V7 models include a variety of the latest Intel processors, solid state drives, Acer Theft Shield, the new Acer converter port and WiDi, Intel's Wireless Display technology, which makes it easy to connect directly to a big screen HDTV for watching movies, viewing photos or videos or playing games. For maximum convenience, all V5 models include an Acer Converter Port, making it easy to connect to an external display, hard drive, router, etc. Some models include a converter cable, which supports VGA, USB and RJ45 connections. The Aspire V Series will be available at the end of May. The V Series has a starting Manufacturer's Suggested Retail Price of $499 USD(2). 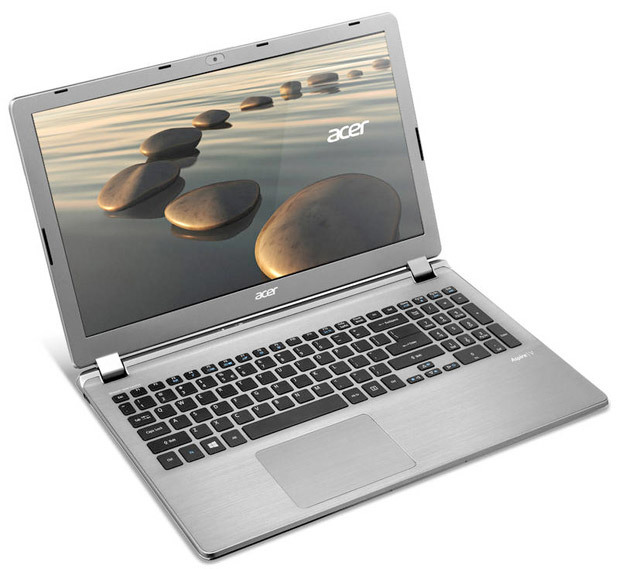 Established in 1976, Acer is an information and communication technology company dedicated to the research, design, marketing, sale and support of innovative products that enhance people's lives. Acer's green supply chain delivers environmentally friendly PCs, displays, projectors, servers, tablets and smartphones -- tools our customers need to explore beyond limits and experience more. Ranked No. 3 for notebooks globally (IDC 2012), Acer employs 8,000 people, and 2012 revenues reached US$14.7 billion. Please visit www.acer.com for more information. © 2013 Acer Inc. All rights reserved. Acer and the Acer logo are registered trademarks of Acer Inc. Other trademarks, registered trademarks, and/or service marks, indicated or otherwise, are the property of their respective owners. All brands and product names mentioned herein include trademarks of their respective companies and are used solely to describe or identify the products. 1) HD content required to view HD images. 2) Estimated street prices. Actual prices may vary.